Because political Islam has subjugated other civilizations for 1400 years, Dr. Bill Warner founded the Center for the Study of Political Islam (CSPI) to further the analysis of its doctrine and the ramifications for Western Civilization. Its mission is to educate the world about the doctrine of Islamic politics through his work and CSPI research. 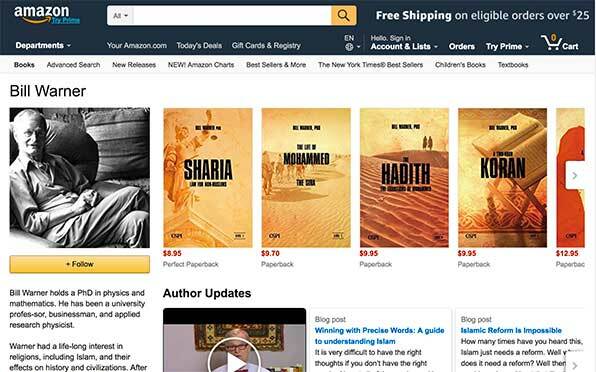 He has written over a dozen books that make the doctrine of political Islam easy to understand. He also developed the first self-study course on political Islam. The CSPI Group consists of the CSPI Publishing Company; CSPI International, a non-profit educational and teaching organization based in the Czech Republic with affiliate countries around the globe; and politicalIslam.com, Dr. Bill Warner’s website with commentary about the influence of political Islam on current events. Author of Agent Storm: My Life Inside of Al Qaeda and the CIA.